Former Home Depot employee Dillon Reagan claims he was fired from his job with the retailer after helping police with a suspected kidnapping. Home Depot eventually gave Reagan his job back a couple weeks later, after an inquiry from the television network KATU. Reagan told KATU that he was closing the Portland, Oregon, Home Depot store on the night of May 12 when a coworker alerted him that a potential kidnapping was underway in the store's parking lot, KATU reports. A man had assaulted a woman, and then took her child out of the back seat of her car, he was told. Reagan then witnessed a man carrying a child in the store parking lot with a woman following him who was screaming, "Somebody help me, he's kidnapping my kid, he's stealing my kid!" Reagan's coworker called the police, who advised the two employees to follow the man, but not to engage with him. Police eventually arrived on the scene and Reagan returned to work. The next day, he was told by a manager that he did the wrong thing and should not have left work to follow the suspect. A month later on June 19, he was fired and told that he broke a safety violation by leaving the store to assist police while he was still on duty, according to KGW. After filing for unemployment assistance, he got a letter from the the Oregon Employment Department dated June 29 that confirmed he was fired because he "assisted the police in preventing a kidnapping," according to KATU. KATU reached out to Home Depot for comment on the firing, and a couple hours later, the company decided to give Reagan his job back, according to the network. 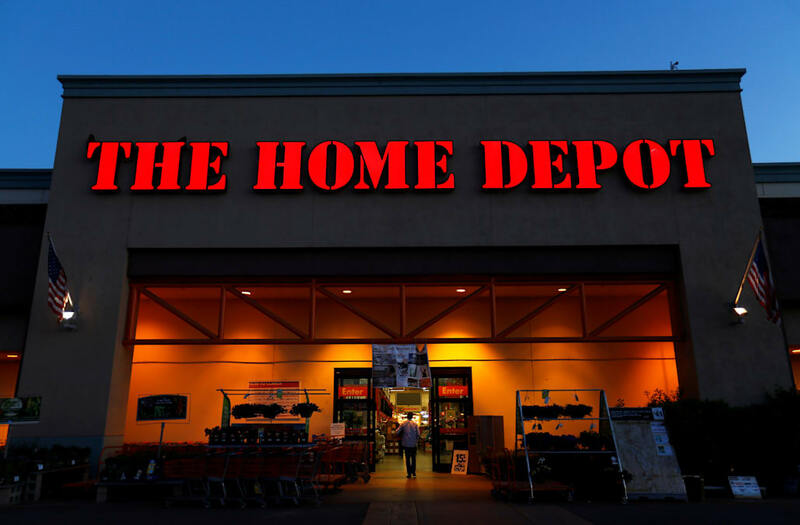 "We took a second look at this and decided to reverse our decision, based on the circumstances," a spokesperson for Home Depot told Business Insider. "We always do our diligence to make sure associates are treated fairly, which we've done in this case." Reagan has said he does not want to return to work for Home Depot after what happened. Experts recommend steering clear of the cleaning supplies aisle. Brand name products will reportedly be marked up 5-10 percent at Home Depot and Lowe’s. Consider going to a warehouse store to find low-cost high-quality generic products instead. Stores like Home Depot and Lowe’s carry a limited selection of home decor items like rugs, furniture, picture frames and wall art. Plus, the more basic in-store products may be pricier. You’ll find better deals for small appliances like microwaves, toasters, coffee makers and blenders online or at competitors like Best Buy. These are often priced higher for the convenience factor of buying with the new grill you just purchased. Consider your local warehouse club for a better deal on batteries. Money.com reports this item is low quality -- and consumers should stick to its higher quality counterparts like Bounty’s DuraTowel.